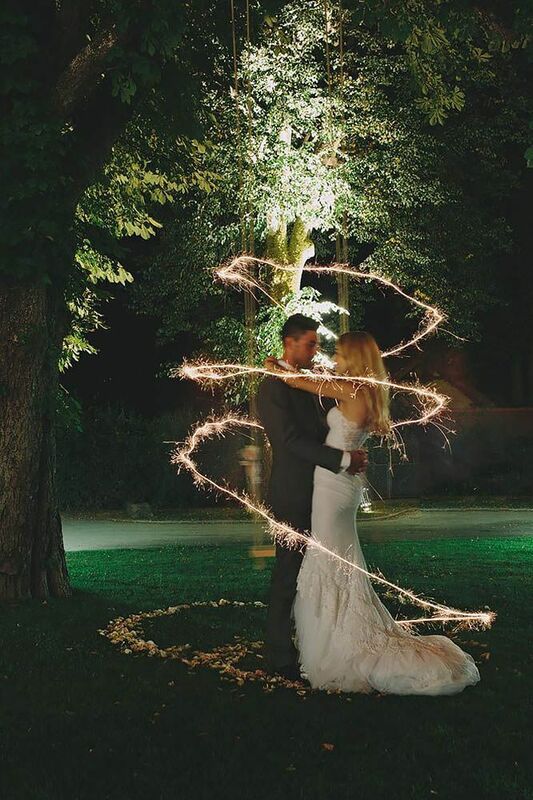 A lot of time at Grand Wedding Exit and many other websites that sell sparklers we talk about how amazing the display of sparklers are during your wedding (which they totally are! ), but not enough about sparkler safety. 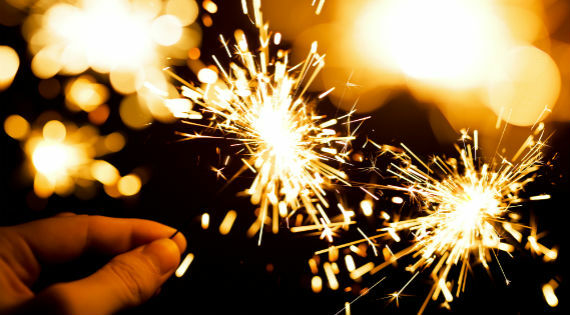 For this article we wanted to take the time to talk about using sparklers safely. It is important when using sparklers you treat them with caution and be aware of your surroundings. I know we are sounding a lot like parents, but you will want treat using sparklers seriously. This quick guide below will cover the most important aspects to make sure you and your loved ones not only have a memorable night, but a safe one! When a wedding sparkler or any type of sparkler is lit they can burn at temperatures as high as 1800°F to 3000°F. Using sparklers without any type of caution can result in clothes catching fire or serious burns. Under no circumstances should anyone under the age of 16 use sparklers without adult supervision. We can not stress this enough, majority of injuries with fireworks or sparklers happen to children. If you plan on using wedding sparklers please help children lit their sparklers first and direct them how to use them safely. After you ignite a sparkler you will want to hold it out straight and away from your clothes. Please make sure kids understand the severity of using sparklers and that they are not toys to play with. What tends to happen is children are not aware of how hot or dangerous they are. They must be aware not to place a lit sparkler close to someone else. With the proper supervision you will not have anything to worry about. Make sure to explain that sparklers should not be waved around frantically and should rather be held up and out. Make sure to note with your kids to not throw sparklers under any circumstance. This one should be obvious when using wedding sparklers, but we wanted to cover all of our bases. Be careful not to have sparklers lit next to the brides dress or any type of loose clothing as they tend to drag on the floor sometimes. In the fifteen years we have been in the business of selling sparklers for events and weddings, we have yet to hear an experience where any wedding dresses have been damaged. Sometimes sparks will fly from the end of the sparklers, but if you have purchased quality wedding sparklers this should not be an issue. Please keeps drinks at the bar and table. Nobody should be holding liquor or anything flammable when lighting or using sparklers. We recommend using closed-toe shoes to help prevent any type of foot burns from random flying sparks. What tends to happens sometimes brides and wedding guests use 4th of July sparklers instead of true wedding sparklers and the quality is night and day. If you happen to use ordinary sparklers for your wedding or event you may be shocked with a smokey atmosphere and dangerous sparks flying. Regular sparklers will give off a tremendous amount of smoke and rich sulfur smell. The last thing you want during your Grand Wedding Exit is a sub par exit with horrendous pictures. So what do we mean by true wedding sparklers? You will want to purchase sparklers online that are made with a steel-wire core which ensure an even burn that will be smokeless and ash-less. All sparklers for sale at Grand Wedding Exit are made with a double dipping process to ensure the best sparkle and even burn time for each sparkler. Both of our 20 inch wedding sparklers and 36 inch sparklers are made with these specifications. We create a standard at Grand Wedding Exit and believe our product and customer service separate us from all other sparklers online. Believe it or not, a large number of sparkler related injuries actually occur when the sparklers go out! 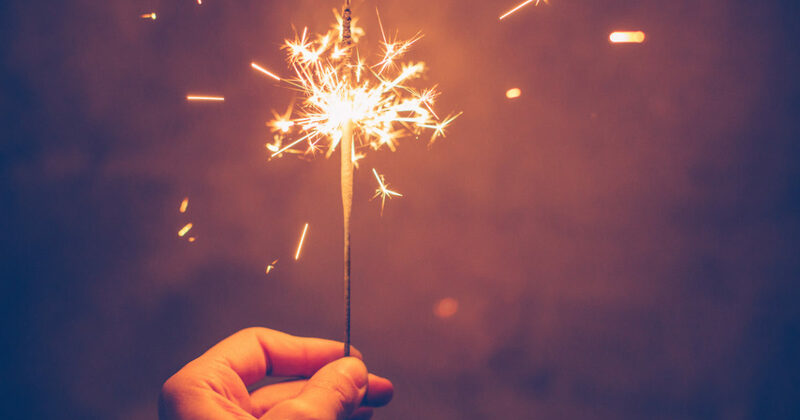 The sparkler wire stays extremely hot even after the sparks have ended, so it is important to drop your used sparklers in a bucket filled with sand or water. Do not use trash bags under any circumstance as they will immediately melt. We offer our popular wedding sparkler buckets which not only make it easy for your wedding guests to dispose the sparklers, but actually make it even easier for them to hand out before the fun starts! If you ever have any questions when it comes to sparkler safety or questions in general please feel free to email us or call our main offices.